Catnip cat ghost toys for Halloween! Made from recycled felt and loaded with organic catnip and a bit of recycled poly fil stuffing. 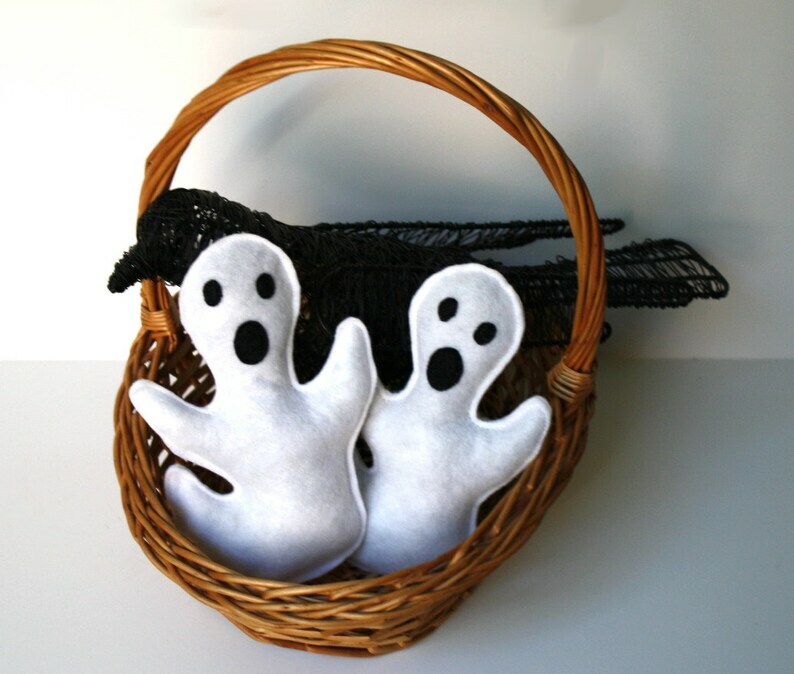 Your kitties will not be scared of these ghosties! The ghosts measure 7" high by 4.5" wide. Their features are sturdily machine sewn on and the whole toy is sturdily machine sewn. My cats never have played with the toys I've bought until I purchased these catnip toys. They turned my 17-year old boy into a youthful murderer of felt toys! These are the best. Amazing!!! My cats went crazy for this little ghost!